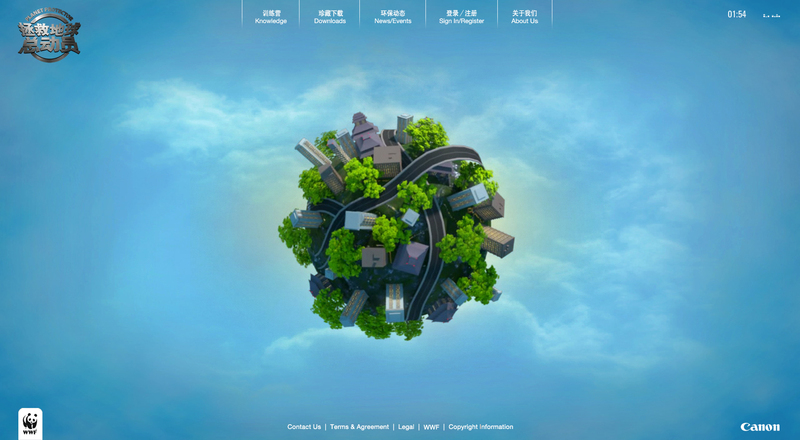 WWF / Canon - Delight Earth, a interactive project made together with Ogilvy Beijing for the Chinese market. 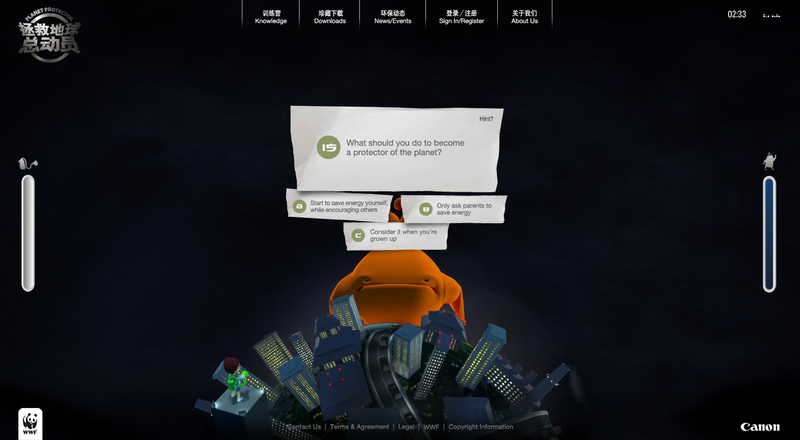 The site was made to educate children in the ages 8-12 about whats happening with the enviroment, and how they can prevent it. 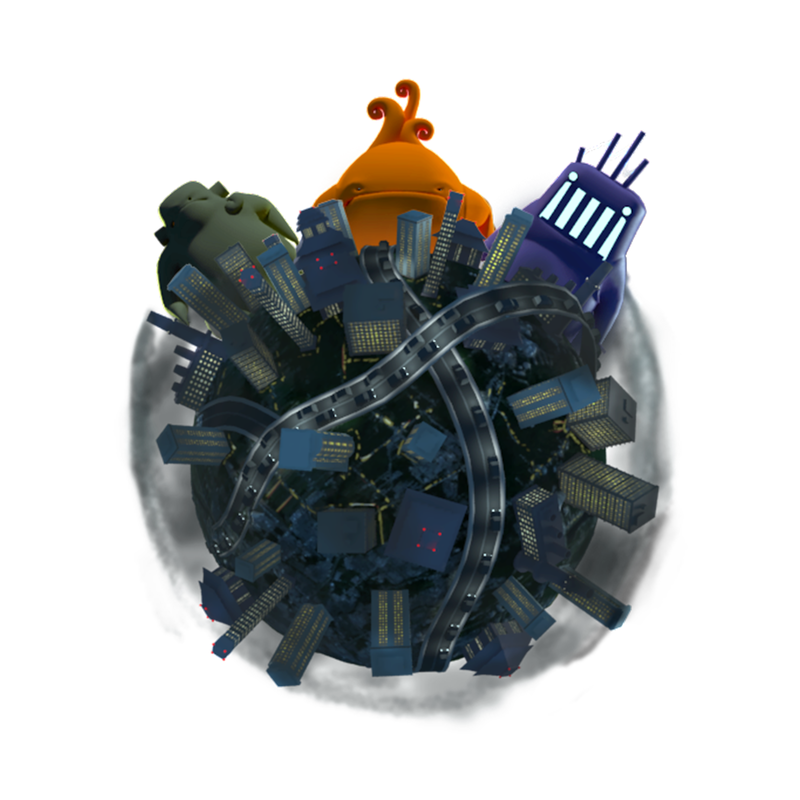 We did a game where you need to defeat 3 monsters that symbolize Pollution, CO2 and Energy Waste. 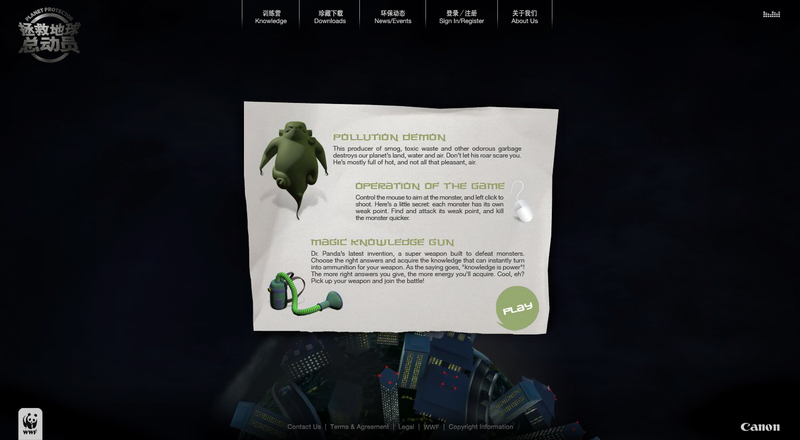 By answering questions about the environment you gain knowledge to fight the monsters and save the world. 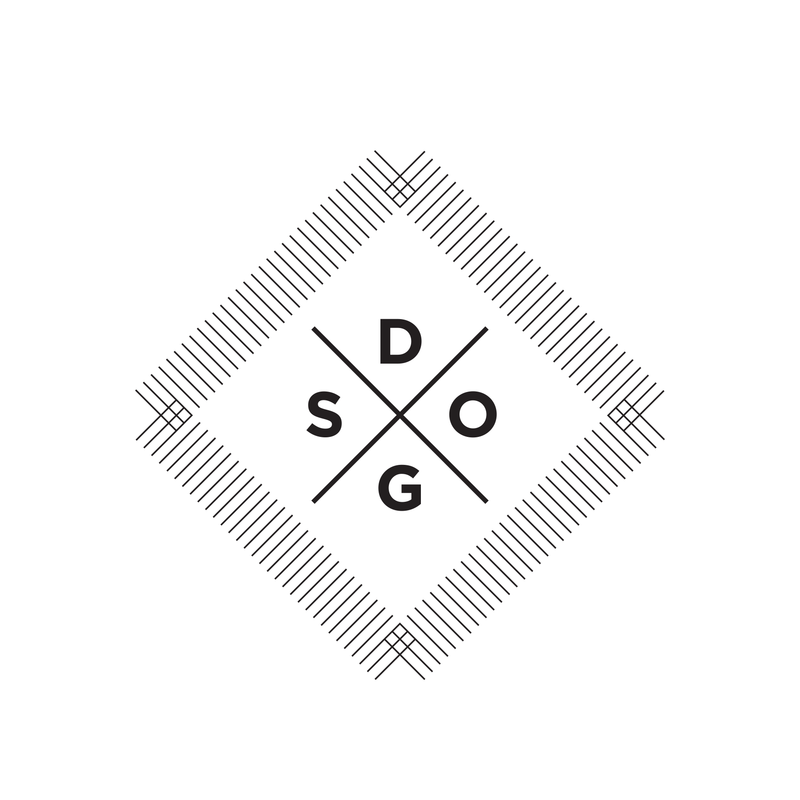 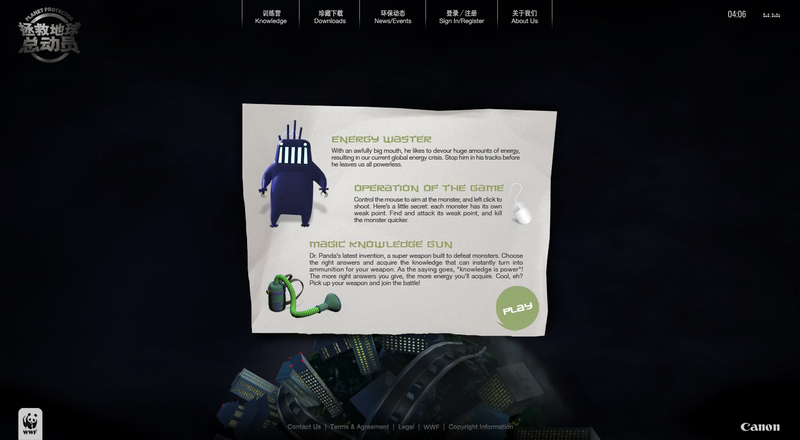 For the visual style we wanted to make something that was a fusion between video-games and a more educational approach. 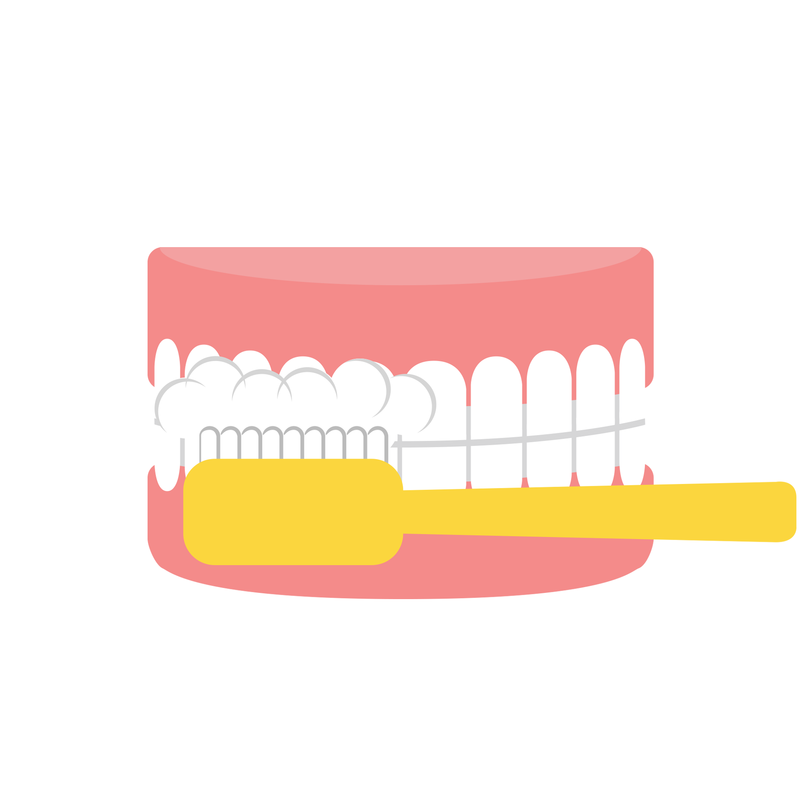 Two things that kids recognize and are used to. 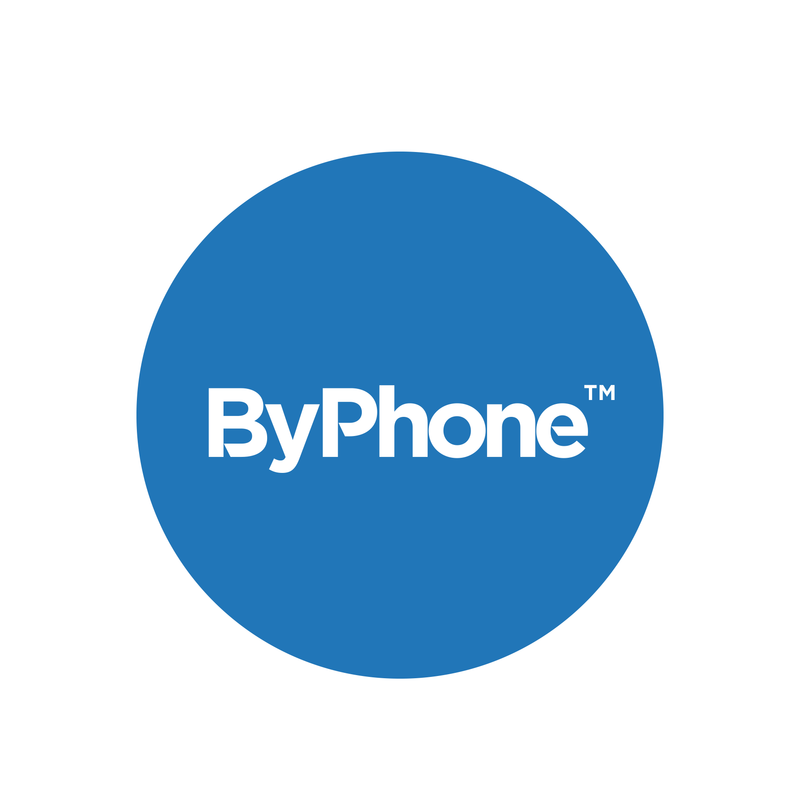 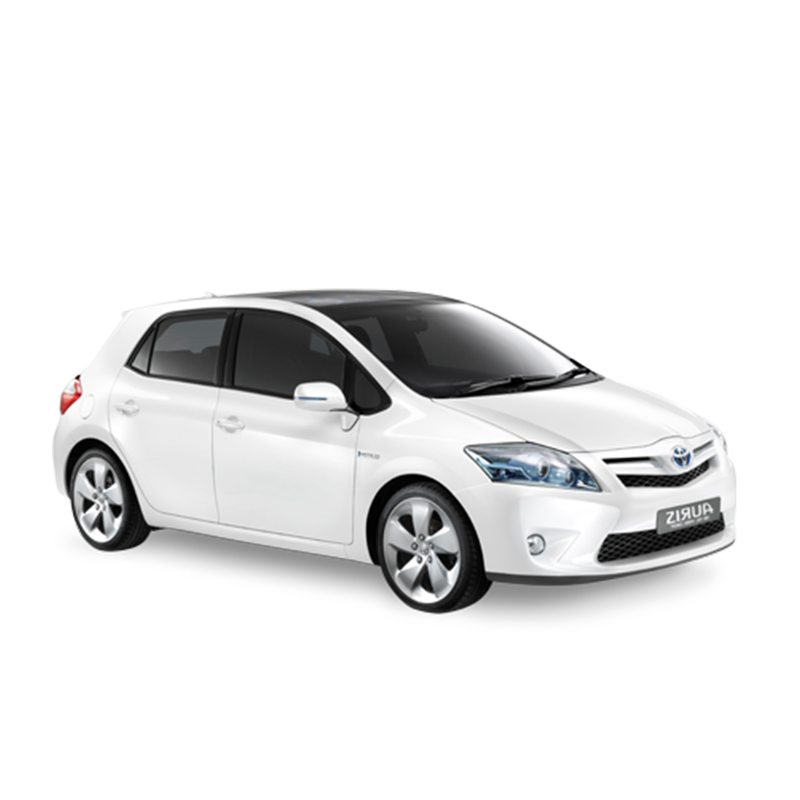 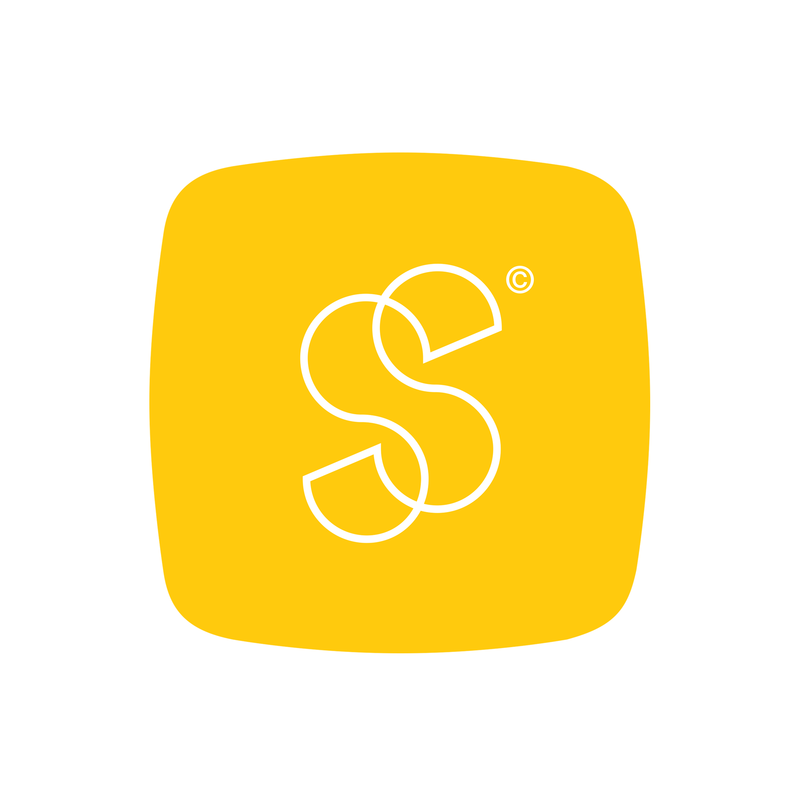 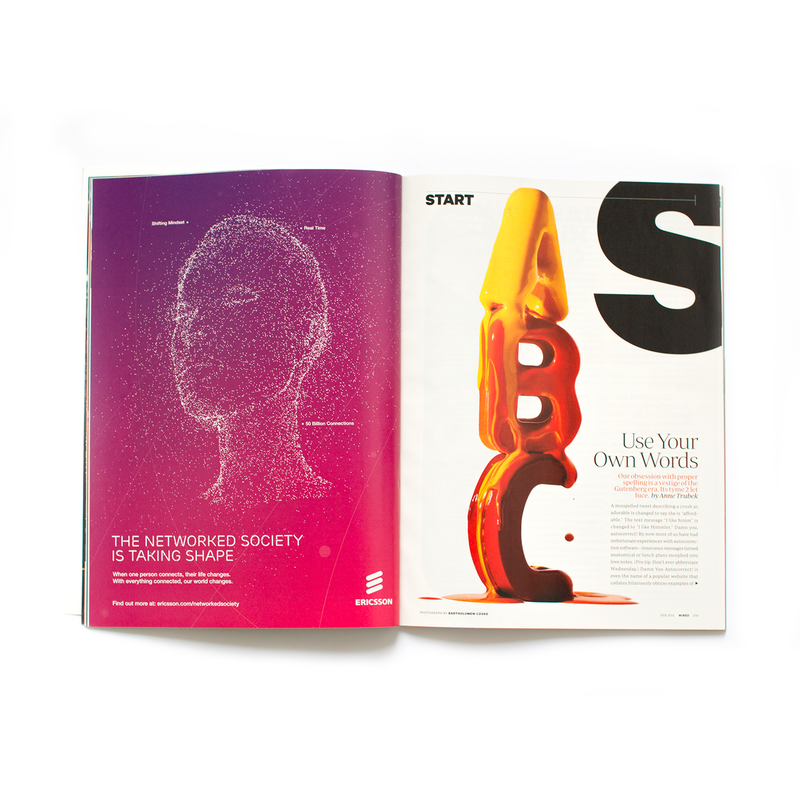 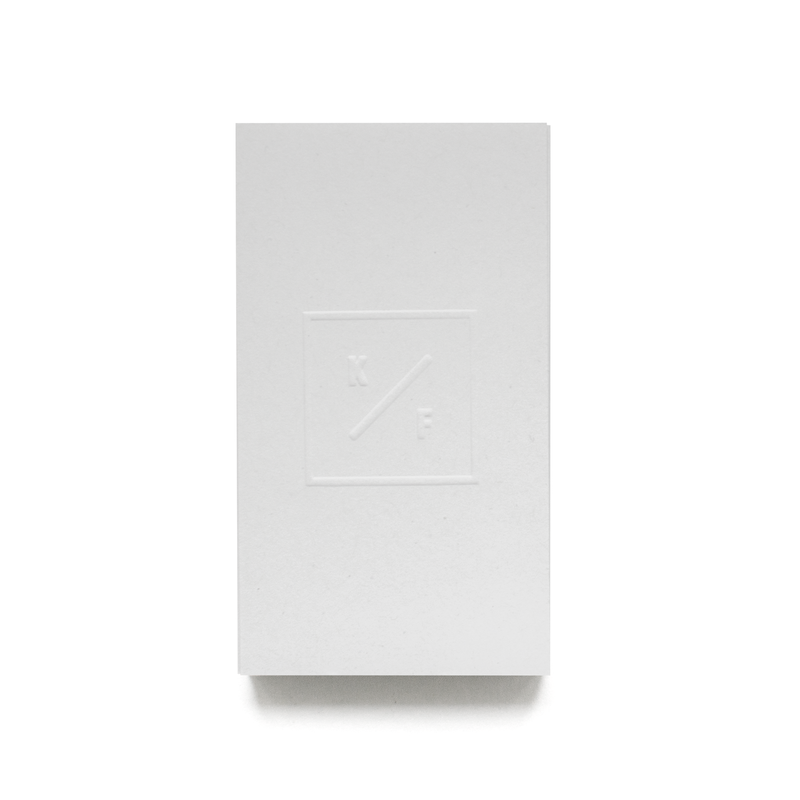 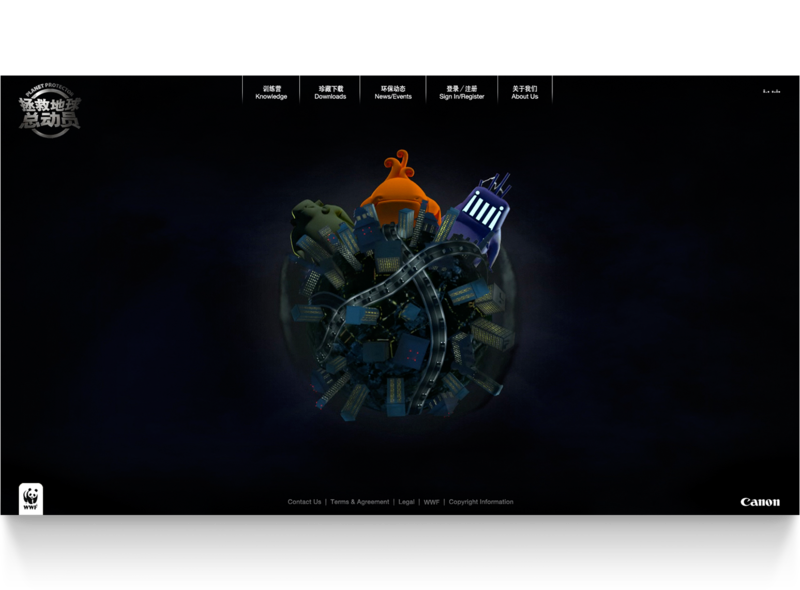 I developed the visual style of this project and worked as a Art Director and Designer. 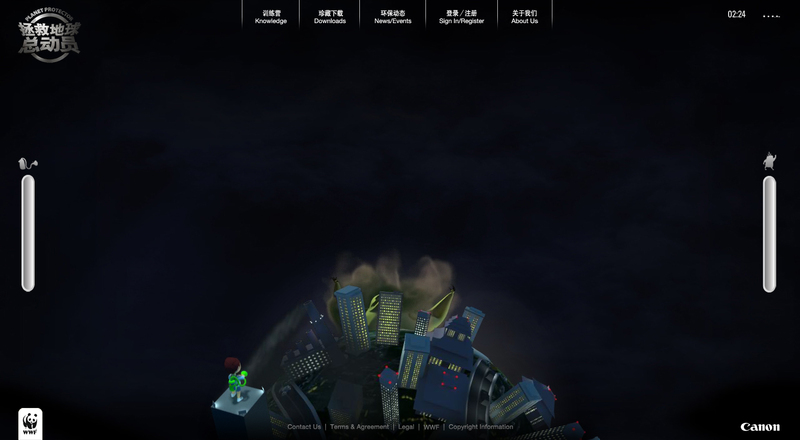 I also did Sound Direction on the site. 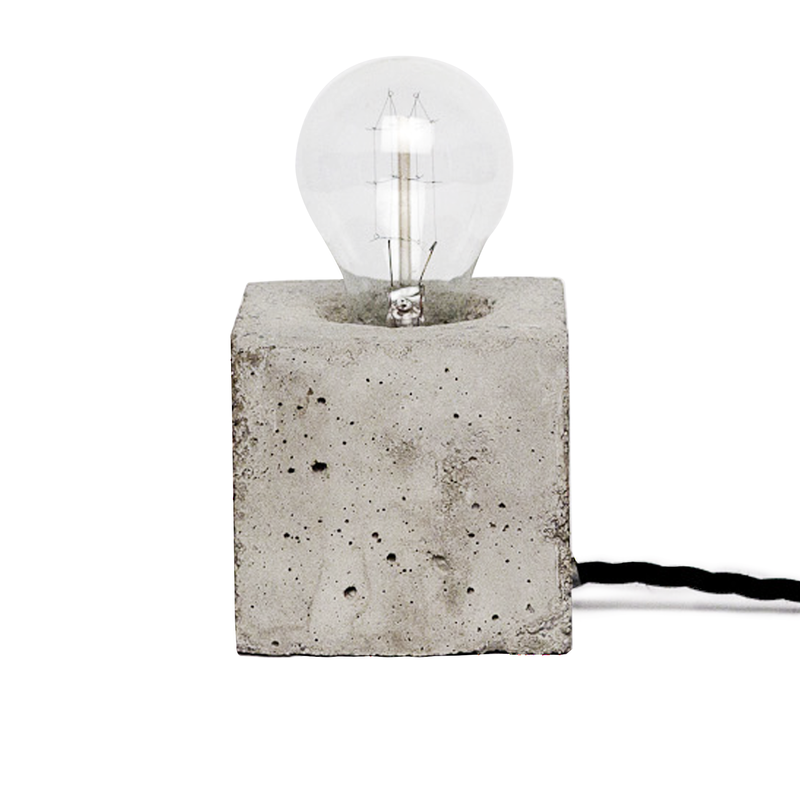 3d by Mathias Lindgren. 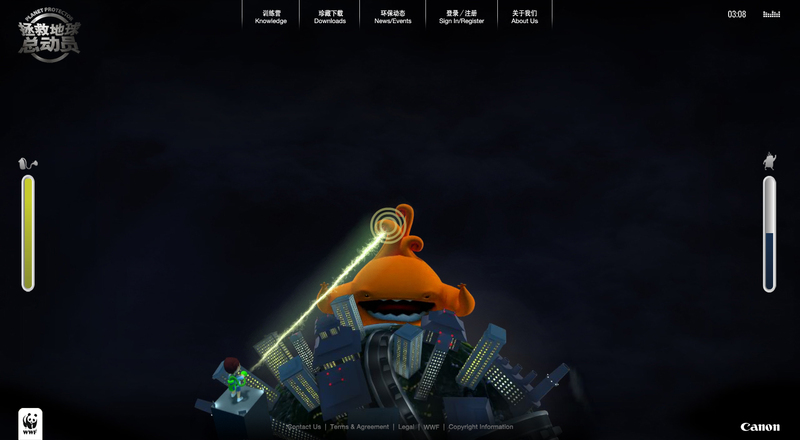 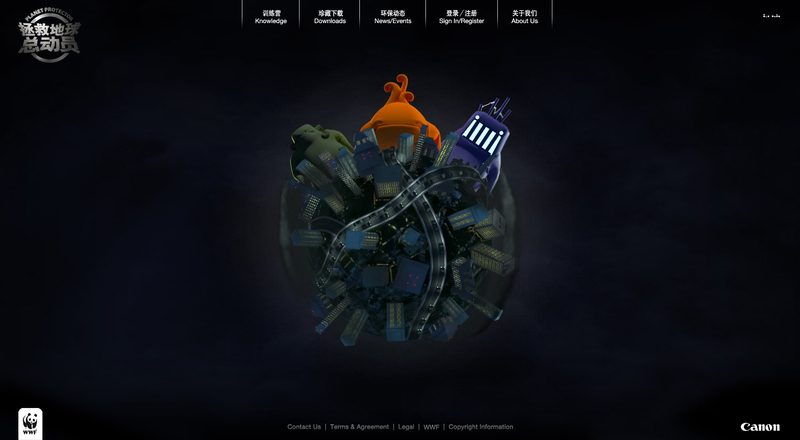 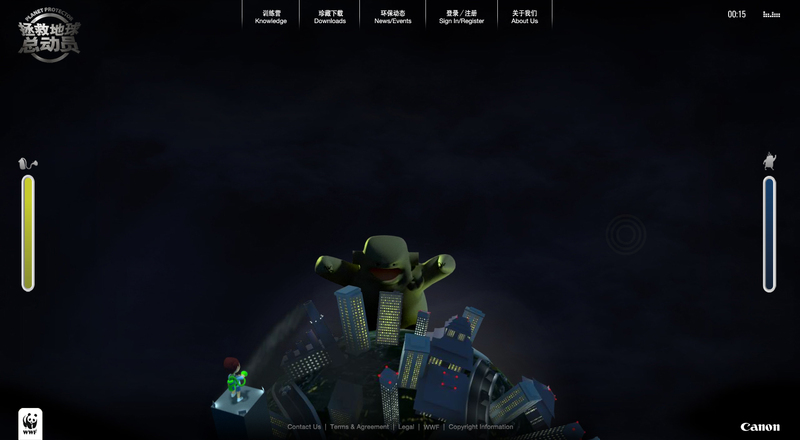 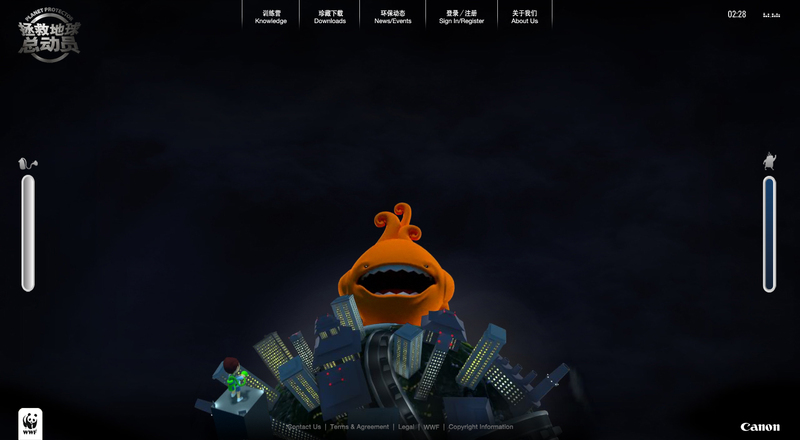 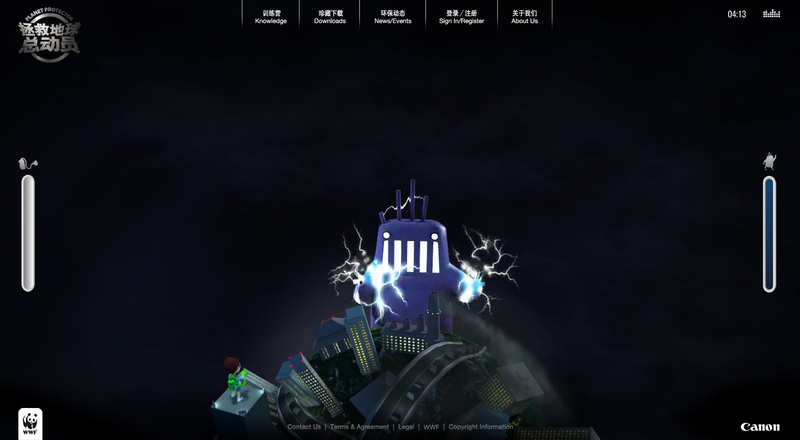 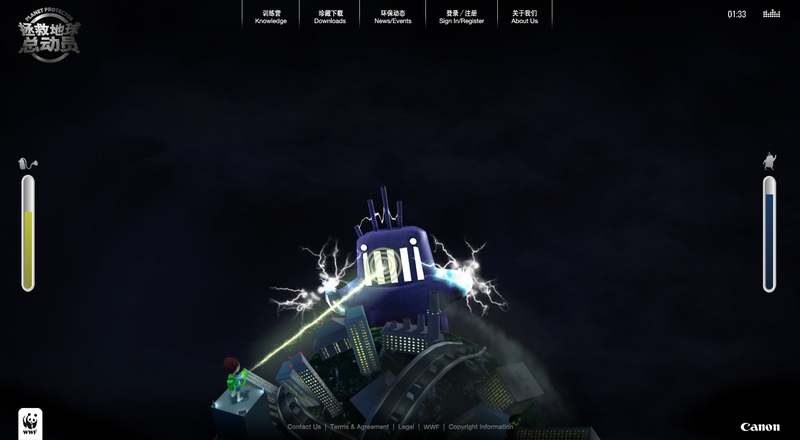 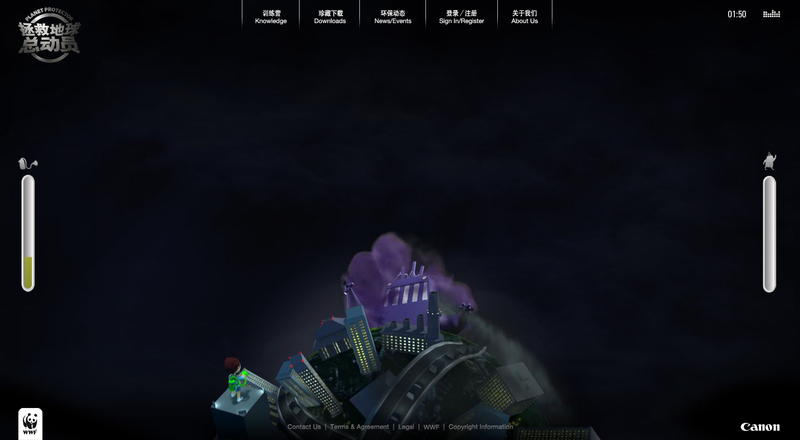 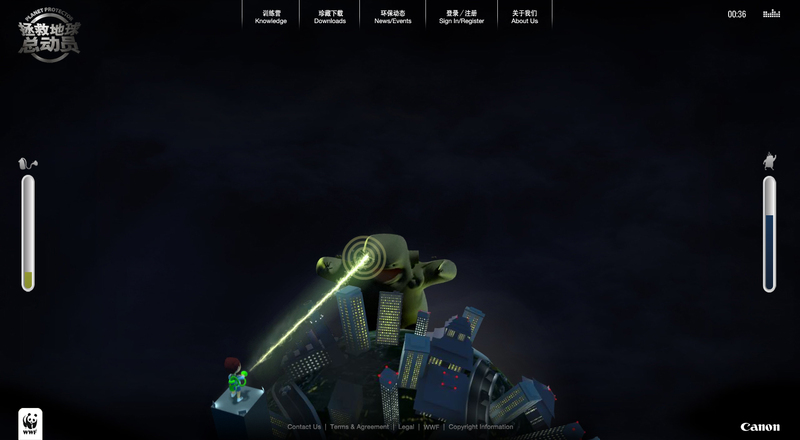 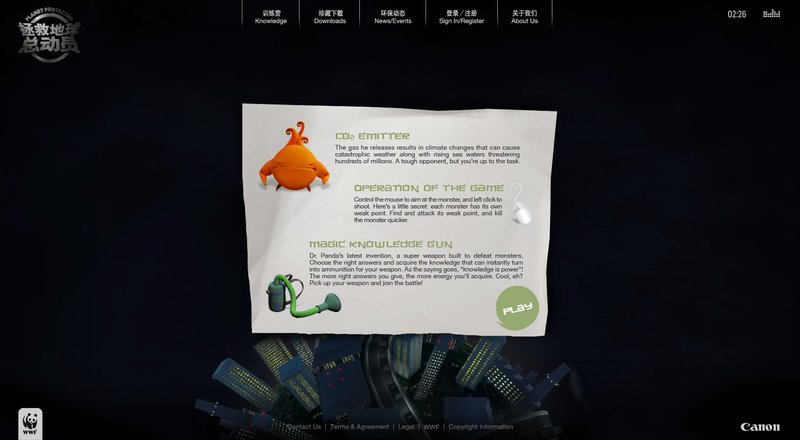 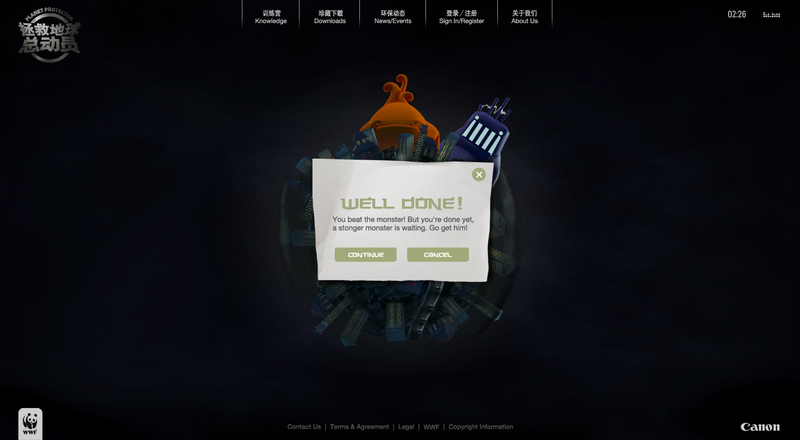 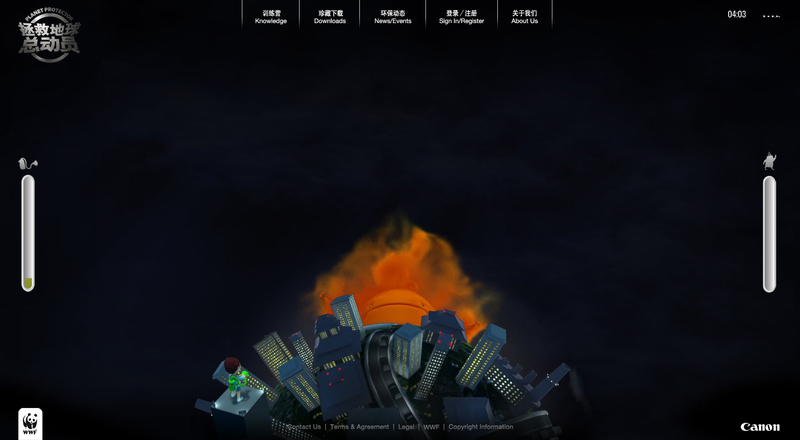 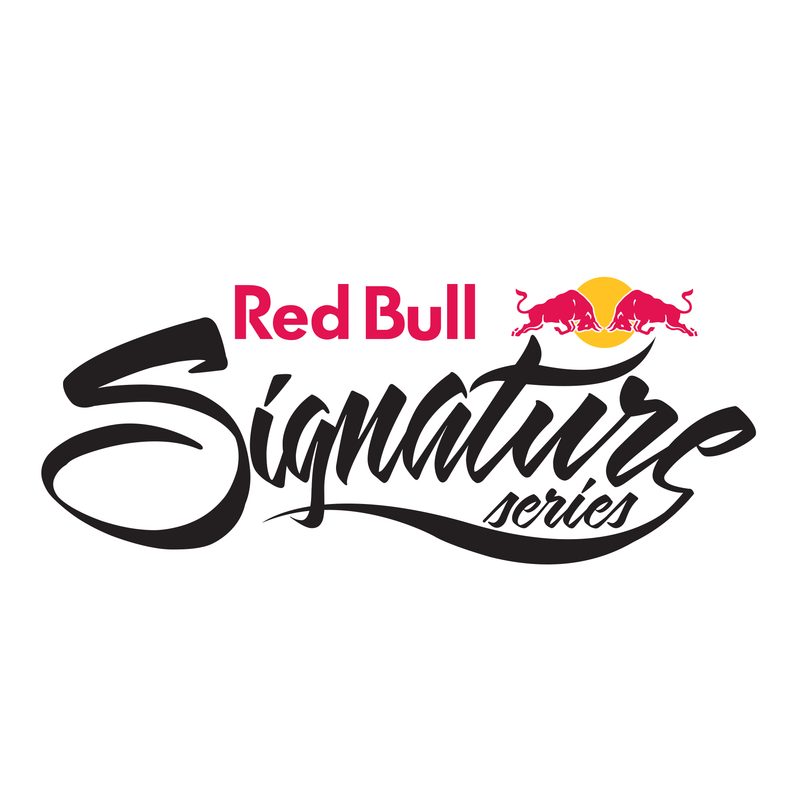 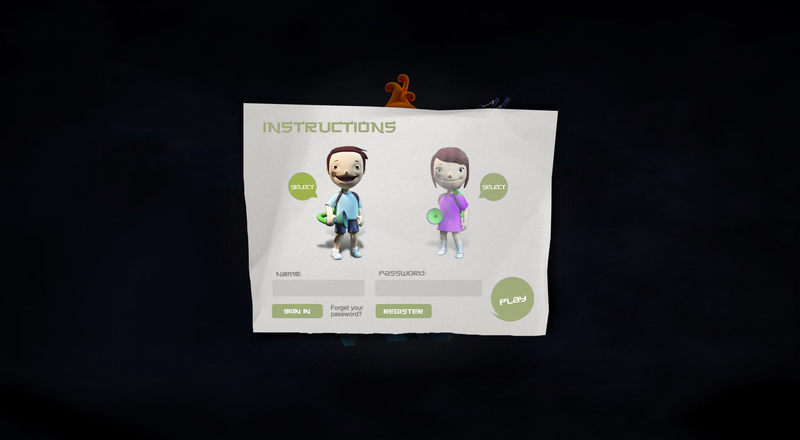 The site was shortlisted in One Show Interactive and won silver in Spikes Asia 2009.